Goldy was joined by our Seattle Drinking Liberally co-host Chris Mitchell, Seattle P-I columnist Joel Connelly, HorsesAss & EFFin’ Unsound’s Carl Ballard and HorsesAss, EFFin’ Unsound, & Blog Reload’s Lee. Voters are smart. They will figure this primary out. … voters who don’t know or care much about either Rossi or Gregoire will break in favor of the governor. So… um… according to the Times, WA voters are smart enough to “figure this primary out,” but too stupid, uninformed, or uninterested to actually cast their ballots the right way. Huh. Perhaps the Times really does think “voters are smart.” But they certainly don’t have much respect for the intelligence of their readers. A poll of more than two thousand executives finds that 36% have issued a formal warning, and 6% have actually fired an employee for using foul language in the work place. According to the survey conducted by TheLadders.com, the five most egregious violations of workplace etiquette…? Jesus… that pretty much describes the average workday of the typical blogger. Join us at the Seattle chapter of Drinking Liberally for an evening of politics under the influence. We meet at 8:00 pm at the Montlake Ale House, 2307 24th Avenue E, although some of us will show up a little early for dinner. Tonight we’ll just celebrate a brief break from those infernal primary races. If you find yourself in the Tri-Cities area this evening, check out McCranium for the local Drinking Liberally . Otherwise, check out the Drinking Liberally web site for dates and times of a chapter near you. 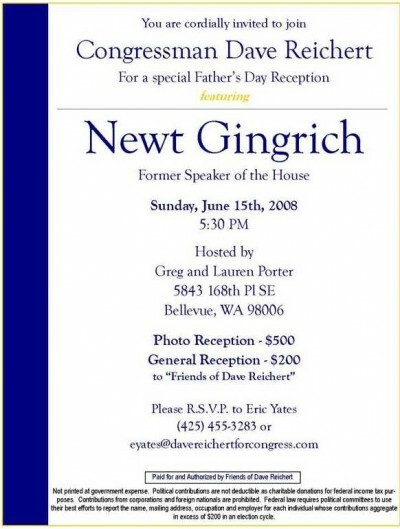 Because you can’t get any more conscience-driven independent than Newt Gingrich. I received several emails over the weekend, from both the left and the right, suggesting (or goading) that I write a Memorial Day tribute of my own. And I would have… that is, if I had anything particularly relevant to say on the subject. I’ve never served in the military, nor have any of my closest friends, nor anybody in my immediate family. Not my siblings nor my parents nor my grandparents nor my first or second cousins. I had a great uncle who served as an MP during World War II, guarding German prisoners of war, I believe stateside, but to my knowledge that’s about as close to combat as anyone on either side of my family has ever come. In fact, it seems clear that some of my ancestors emigrated to the U.S. specifically to avoid service in the Czar’s army. As a child of the sixties, growing up watching the Vietnam War on TV, I vowed never to enlist, even if drafted. I would not give my life to fight what I believed to be an immoral war… and besides, I always thought I’d make such a crappy soldier that my risk of court martial for insubordination would far outweigh any chance that I’d ever do time for draft evasion. I was never a pacifist per se, but I’ve never believed in such a thing as a “just” war. Necessary perhaps, but never just. Over the course of my 45 years I have come to know people who have served, some who even served in combat, but I’ve never known anybody who has sacrificed his life in service to our nation, nor am I aware of any close friend or relative to have lost a close friend or relative as such. The tragedy of war — Iraq, Vietnam or any other — has never directly touched my life. I have both empathy and sympathy for those who have not been so fortunate, but my personal experience of Iraq is little different than that of Vietnam: it is something I watch on TV. So who am I to memorialize our war dead when I know nothing of what they or their families endured? How can I adequately memorialize something for which I have no personal memory? I am not a soldier. I do not come from a military family, nor from a cultural milieu were military service is common or even encouraged. Like President Bush and Vice-President Cheney and so many of the other hawks who foolishly led us into Iraq, I would have done almost anything to avoid military service. (The difference is, I admit it.) In this context, what words of commemoration could I have given, however heartfelt, that wouldn’t have come off as hollow? Some of the fallen we honor each Memorial Day gave their lives willingly, others not. Some died defending freedom, others fell defending the folly or pride of their leaders. Some causes are more noble, some deaths more honorable… that is the nature of war, a nature reflected in the historical roots of Memorial Day itself, which arose after the Civil War to honor the dead of both those who defended the Union, and those who fought to preserve a Southern economy based on slavery. While I may not know war firsthand, I know my history. I know that for every Yorktown there is a Gallipoli… for every Afghanistan there is an Iraq. The same armies that risked their lives to liberate the Nazi death camps, incinerated the city of Dresden and tens of thousands of innocent civilians—women, children, babies—with it. I’m not a politician, and so I do not have to pin a flag to my lapel, place my hand over my heart and pretend that patriotism always trumps history or common sense. And so on Memorial Day I honored our war dead in the best way that I knew how: by keeping silent. It is simply not in me to ignore my own internal dissonance, but it would have been disrespectful to voice it on a day that means so much to families who have sacrificed so much for our nation, whatever the cause… and so much more than I myself have ever been asked to give. Although state officials had predicted single-party contests would be rare under the new system, there could be a half-dozen legislative races this year with candidates from the same party running against each other in November. Couldn’t see that one coming, could you? In fact, I’m surprised it’s only a half-dozen legislative races. How’s that working out for you, Sam? Bob Barr captured the nomination of the Libertarian Party this weekend in Denver. Most people remember Barr as the very non-libertarian conservative who served Georgia’s 7th District starting in 1994, but the story of how he was defeated and how that led to him becoming a Libertarian is not as well known. Gary Storck writes about how Barr was ousted from Congress in part by the Libertarian Party running ads against him after he was forced by the Georgia legislature (which was controlled by Democrats) to face another incumbent Republican in a re-districting. As Memorial Day approaches, I encourage all of you to take the time to honor our fallen veterans. Sadly more than 100 Washington men and women have died in combat in Afghanistan and Iraq. Mike and I have tried to attend every funeral service for Washington’s fallen soldiers, and we will continue our commitment to honoring these brave individuals by showing their families that we acknowledge their tragic loss. And unlike the Bush administration, Gov. Gregoire provides both talk and action when it comes to supporting our troops, signing 47 pieces of legislation regarding veterans and their families during her first term, more than any other governor in state history. Kelly Steele versus Patrick (“The Anti-Goldy”) Bell…? It’s not a fair fight. 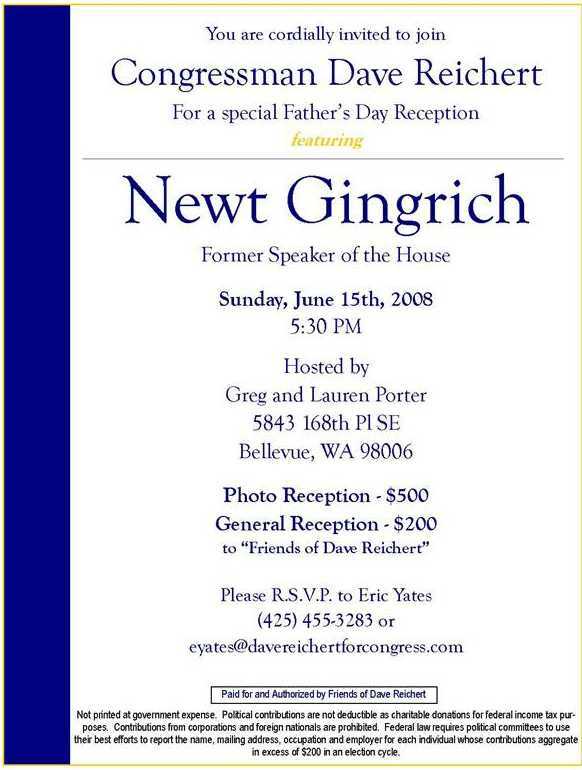 When did the state GOP become a make-work program for B-list bloggers? The Seattle Times has the story of 41-year-old Pauline Goldmeier, who chased down a group of teens stealing her $500.00 mountain bike, eventually leading to the arrest and detainment of three of the five suspects. When Pauline Goldmeier pulled up to her Seward Park home last week and saw a group of teens making off with her $500 mountain bike, something snapped. She’d been the victim of a carjacking, a kidnapping and uncounted incidents of vandalism, but that day she’d had enough. Good for Goldmeier. But imagine how differently this incident might have ended had Goldmeier, as so many on the right advocate, been armed at the time “something snapped” …?